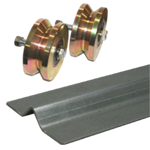 " Your One Stop Shop For All Your Driveway Gate Needs"
This Universal Multicode/Linear receiver will easily attached to a gate or garage. 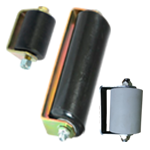 The GAPLM provides wireless access and communication for single family residences, either at a gate or door. 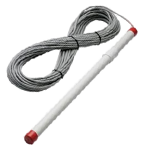 It is compatible with several of our wireless access and communication systems, all of which are customizable, easy to install, and easy to operate. 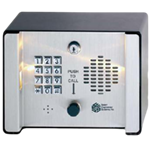 The Gate Access Panel has a fully functional access control keypad and the ability to communicate with an unlimited number of telephone interfaces, or wireless intercoms, in multiple configurations. 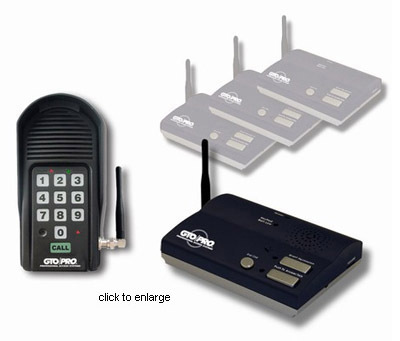 This model also has a built-in 315MHz receiver to support handheld remote controls in both keyfob and visor configuration, making it the most complete entry access and communication device available. 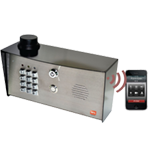 The MUGAPLM provides wireless access and communication for small residential buildings, gated communities, and small commercial office complexes. 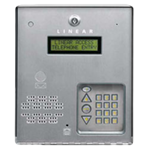 The Multi-Unit Gate Access Panel has a fully functional access control keypad and the ability to communicate with up to 63 offices or residences, each with unlimited flexibility of configuration of telephone interfaces and all wireless intercoms. 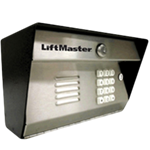 This model also has a built-in 15MHz receiver to support handheld remote controls in both keyfob and visor configuration, making this the most complete entry access and communication device available. 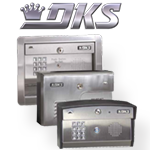 The AdvantageDKLP line of keyless entry offers a wide selection of post or surface mount models and allows integration with an intercom. 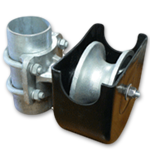 All post mount units are housed in heavy metal, powder coated enclosures with a metal keypad. 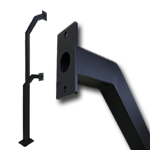 Introduced for the solar gate operator, the DKLP series is designed for the user who has need for a LOW POWER application. 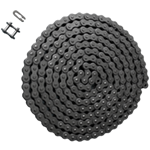 Boasting a power consumption of under 20uA, the AdvantageDKLP line of keypads is the leader in the industry for solar applications. 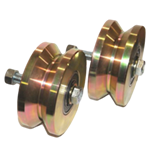 Available in 100 code configuration, which comes standard with non-volatile memory. 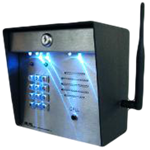 Available with 1000, five digit code configurations, the AAS AdvantageDKS II is one of the most cost effective, non PC based keypad controllers on the market. 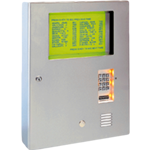 Each master controller is designed to operate two 26 bit, wiegand output keypads (see the AAS RemotePro KP line), where all programming and auditing is done from the master station. 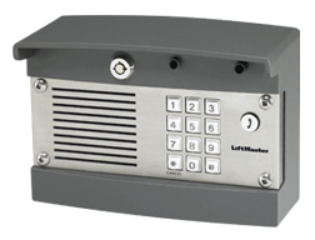 The AdvantageDK line of keyless entry offers a selection of post mount models and is available with call button and durable 8 ohm speaker allowing integration with an built-in intercom station. 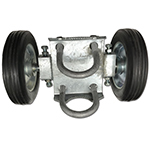 AdvantageDK models are stand alone and fully programmable from the keypad. 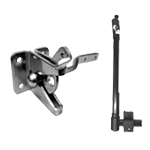 Post mount models feature a high grade, stainless steel faceplate and metal keypad and are housed in a heavy metal, powder coated enclosure which will provide years of trouble free entry. 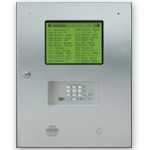 The Elite Entry System EL25 is beautifully engineered for private residences, yet powerful and adaptable enough to be used in apartment buildings, condo complexes, office parks and commercial sites. 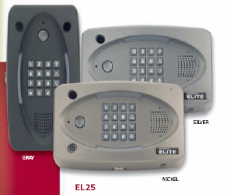 The Elite Telephone Entry System EL25 is capable of accepting up to 2,000 totally flexible codes. 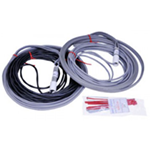 These codes can be programmed as either directory codes or access codes, making the EL25 ideal for virtually any installation. 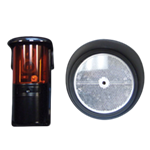 Unlike other systems , the EL25 may be purchased as a base unit or can be ordered with optional plug-in modules. 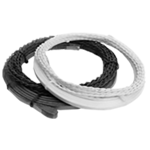 This allows you to choose only the plug-in modules you need depending on the specifics of the job—enabling you to offer custom solutions right off the shelf without special orders. 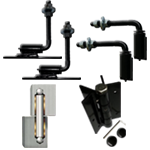 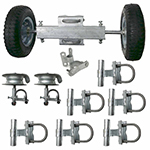 Optional modules let you expand the system to fit your specific needs. 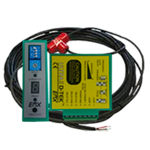 The Wiegand output module lets you add card readers and remote keypads. 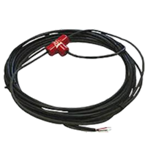 Our RF module provides convenient access through gates or doors with Passport™ transmitters. 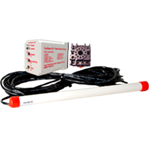 Plus, the system is now designed to automatically detect the addition and location of each new plug-in module, making installation and programming faster and easier than ever before.